The Three Sisters’ offer revolves around its substantial courtyard. 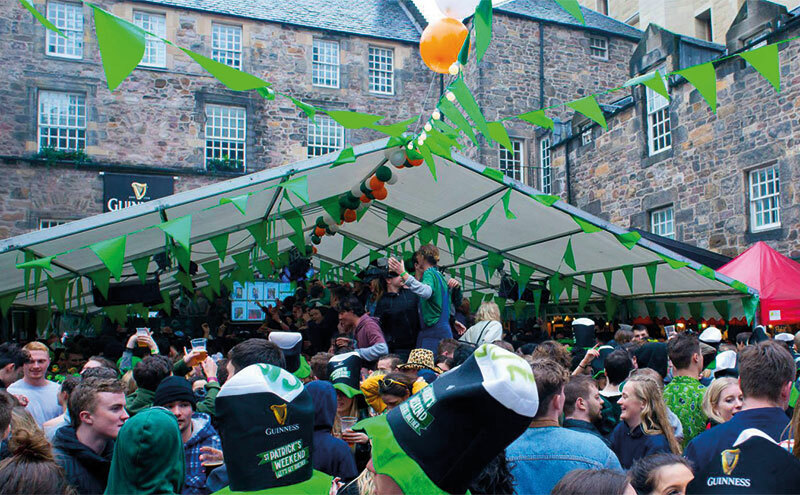 IT is perhaps fitting that one of the UK’s largest St. Patrick’s Day celebrations takes place in the Cowgate in Edinburgh’s old town. While the street itself does not bear any of the tricolours or four-leaf clovers that become ubiquitous each year on March 17, the area’s historical links to the Emerald Isle are entrenched, stretching back almost 200 years. In the 19th century, the area housed many of the capital’s Irish immigrant community and became known as ‘Little Ireland’. And that is precisely how St. Patrick’s Day celebrations have been promoted in the present day – as a festival incorporating four venues around the area and led by The Three Sisters. The outdoor courtyard is the heart and soul of The Three Sisters. Perhaps even more fitting is the fact that an Irishman, Eric Drought, general manager of the G1 Group-owned venue, helps engineer the four-day bash, which starts today (March 15). Eric hails from Wexford in south east Ireland and got into the trade when he was an accountancy student in Galway before moving to Edinburgh in 2014 to become deputy general manager of The Three Sisters, and taking the reins two years ago. “St. Patrick’s Day is a massive thing for us,” he said. The Three Sisters’ celebration of Éire’s patron saint will see well-known acts from the Republic of Ireland perform in the bar, including Boyzlife (the touring name of Westlife’s Brian McFadden and Boyzone’s Keith Duffy), Limerick rappers the Rubberbandits and Dublin twins, Jedward. And the packed St. Patrick’s Day entertainment schedule each year is reflected in the sales figures – Eric said last year the venue sold over 10,500 pints of Guinness on March 17 alone. “We set a new Guinness record last year and I’ll be looking to beat that this year,” he said. 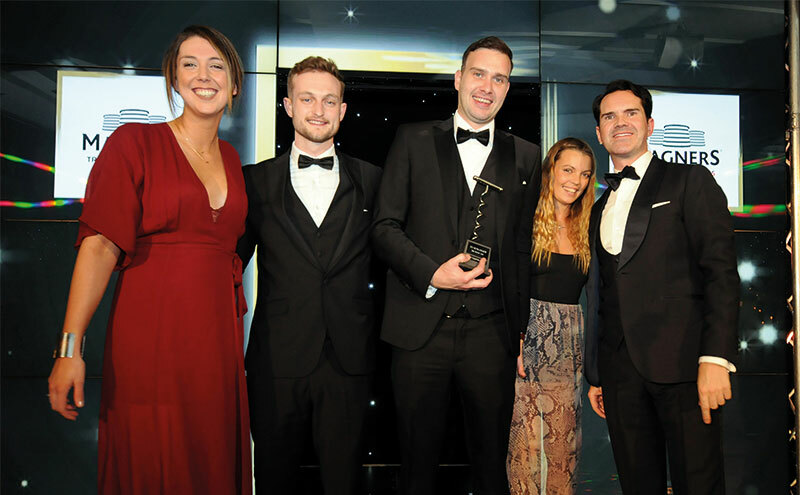 The venue won the 2017 SLTN Award for Best Outdoor Area in association with Magners. One element that has been central to the venue’s success over the years is its al fresco area. 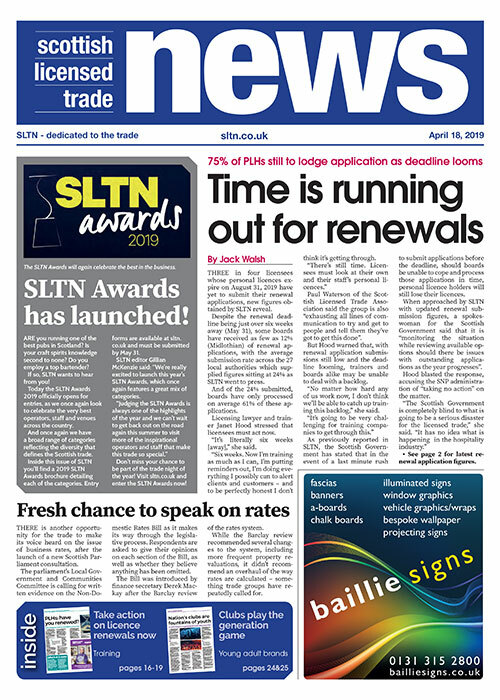 The substantial 500-capacity courtyard, which Eric calls “the heart and soul of the business”, is utilised to great effect all year round, something which earned the bar Best Outdoor Area at last year’s SLTN awards in association with Magners. The multi-functional courtyard features a ten metre long bar and several food stalls, which can be changed to cater for different events. 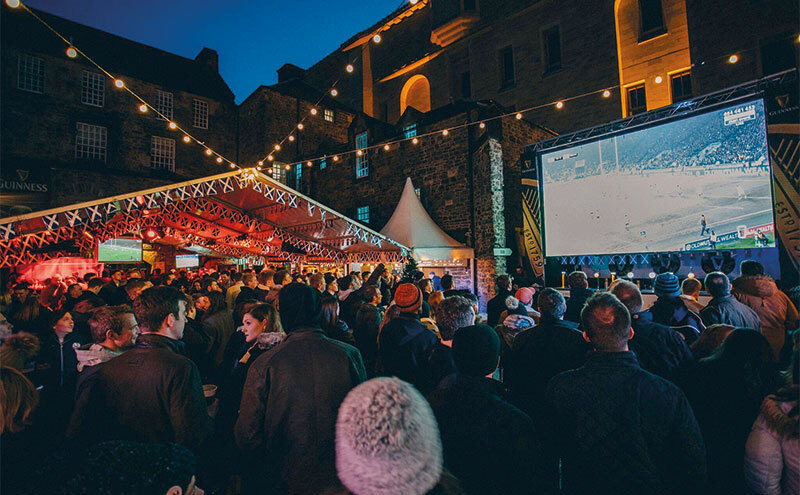 In the past 12 months the space has played host to a huge variety of events, from beach parties and cinema nights to a Kids Fringe – providing children with entertainment during the Fringe – and televised sport. A huge 225” LED screen (pictured below), two 40” TVs and an additional projector in the courtyard help to deliver an array of live sport. “We’re doing really well with the Six Nations right now and then we’ll move on to preparing for the World Cup,” said Eric. Eric’s approach of trying to satisfy as broad a range of customers as possible has seen The Three Sisters grow. He said: “When I started here we grew the business 30% year on year, which is great. We’re doing grand, we’re always thinking about what else we can do. “We’ll look at the year as a whole and if we’re not doing a lot in certain months of the year we’ll start coming up with ideas. “For instance, we’re doing a science festival in April; we discovered there was a science exhibition happening in the city so we’ll run alongside it with things like potions classes. “There’s always something going on in the city that we can capitalise on.